Ever been at a museum and wondered how a centuries-old painting ended up right in front of your face? Wonder no longer; architecture and history of art professor Jodie Cranston’s website has you covered. 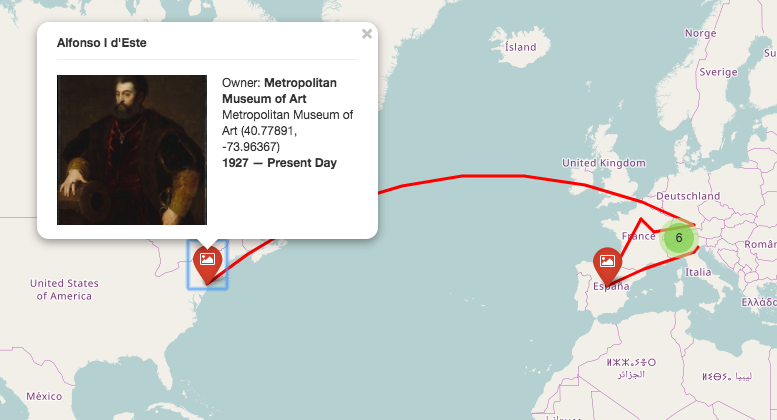 Mapping Paintings is an easy-to-use database that allows you to see the travels of paintings that now live in museums. Here is an example of a map for a Monet work that traveled throughout Europe before reaching its current residency at The Met. Funded by the Kress Foundation and Boston University, Mapping Paintings aims to add over 3000 works of European art from the Kress Collection by early fall of this year. 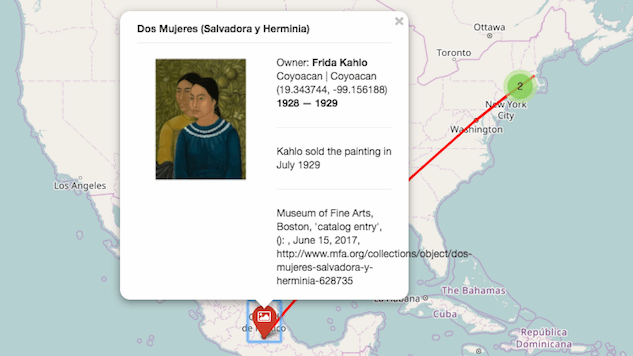 Check out Mapping Paintings for yourself here.